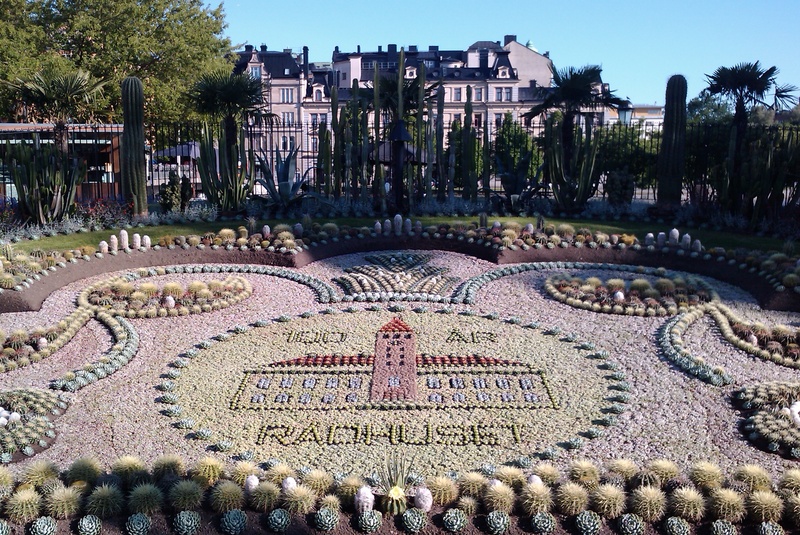 In Norrköping every year a mosaic of cacti gets created, and every year it commemorates an anniversary or another special happening. This year it is the city hall’s 100th anniversary! So this is the outcome of the 2010 cacti art. The assembly usually gets built during May, and it does take a couple of weeks until it is ready. Early October the plants will be moved again to their winter quarter. The cacti bed is situated on the lower part of Drottninggatan, to the right hand side. If you come by train, just walk up the main road leading to the town centre for less than 5 minutes, and there you are. Since I am a fan of cacti in general, these pieces of art impress me over and over again, year for year. This entry was posted in Current Affairs, Life and tagged cacti, cacti art, cactus, Norrköping by anmara. Bookmark the permalink.